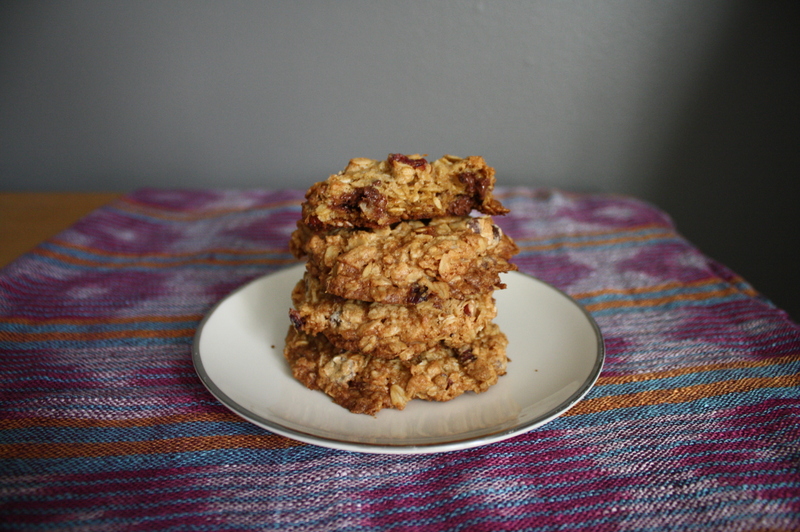 Oatmeal, coconut and chocolate chip really doesn’t adequately describe these cookies. 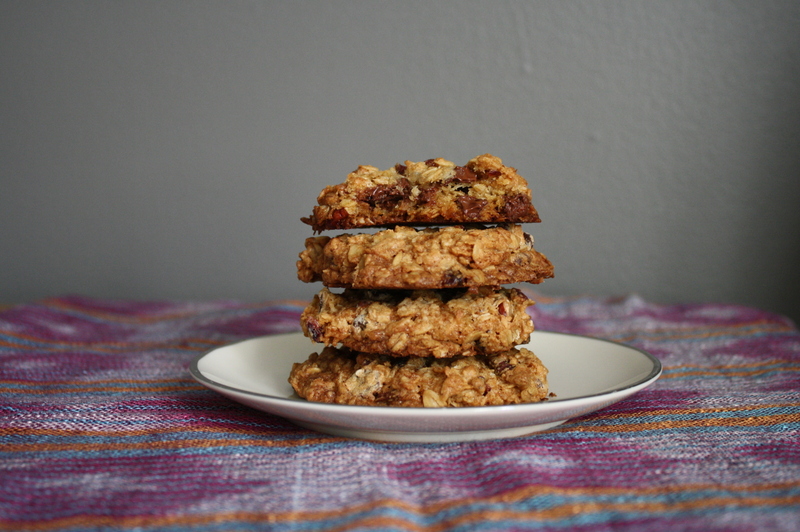 It’s more like: Oatmeal Coconut Chocolate Chip Browned Butter Almond and Craisin Cookies. But that’s too hard to remember. 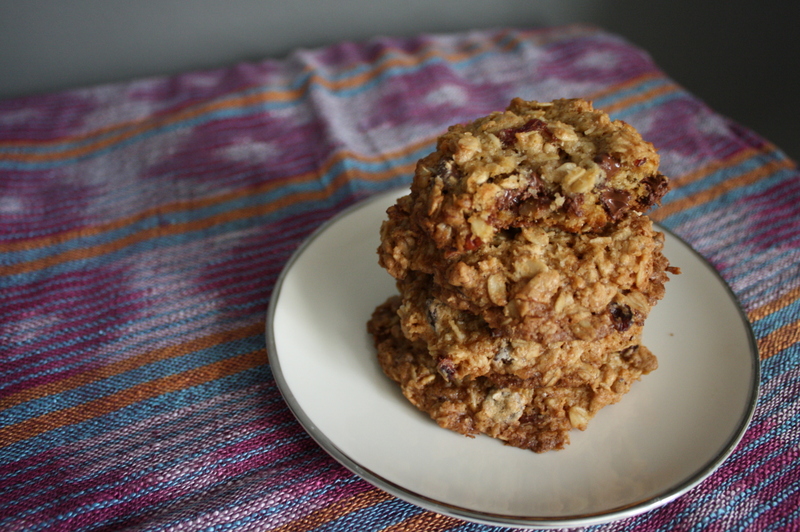 These cookies are jam packed with yummy goodies, and I LOVE cookies with everything but the kitchen sink in them. These are exceptional, and I think it’s the coconut. So, if you’re like me, and love coconut and chocolate together, you should give these a try. My Aunt Cindy emailed me this recipe last spring, and I have made them several times. 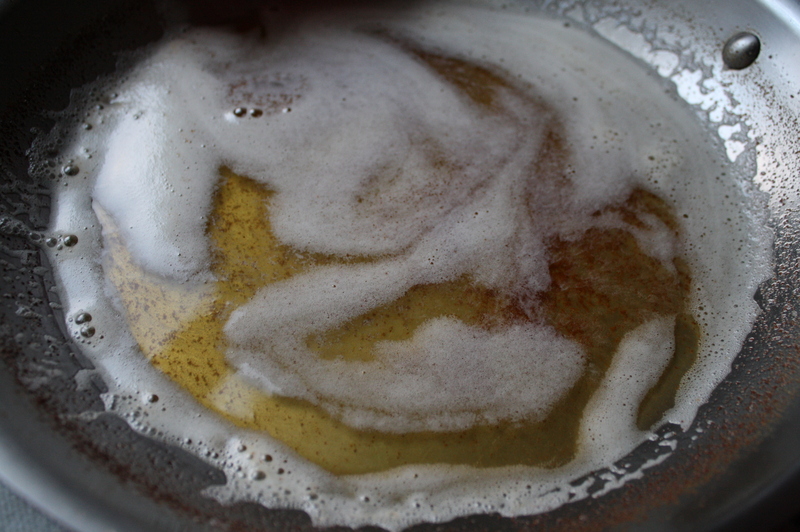 Brown the butter: In a large saucepan (preferably light in color so that you can see when the butter browns so that it doesn’t burn), melt one and a half sticks of the butter on high heat. When it’s just melted, start swirling the pan around on the burner, until you see the butter starting to brown on the bottom of the pan (it will appear as little brown bits on the bottom). Remove from the heat, and put the remaining half stick of butter in the pan and swirl around until completely melted. Set aside to allow to cool slightly. speed (or beat by hand with a wire whisk). Add eggs and beat until just blended, about 30 seconds. Let sit for one minute, then beat for 30 more seconds. Then beat in vanilla, baking soda, and salt. Add flour and mix at low speed until just blended (or carefully stir in by hand with a wooden spoon). Stir in oats, coconut, chocolate, nuts and dried fruit. Arrange 1/4-cup mounds of cookie dough about 3 inches apart on large cookie sheet lined with parchment paper (or greased) (about 8 cookies per sheet). Pat down cookie dough slightly so that it’s about 1/2 inch thick. Bake in upper and lower thirds of oven, switching position and rotating pans halfway through baking, until golden, 12 to 15 minutes total (it should still look just slightly underdone in the center). 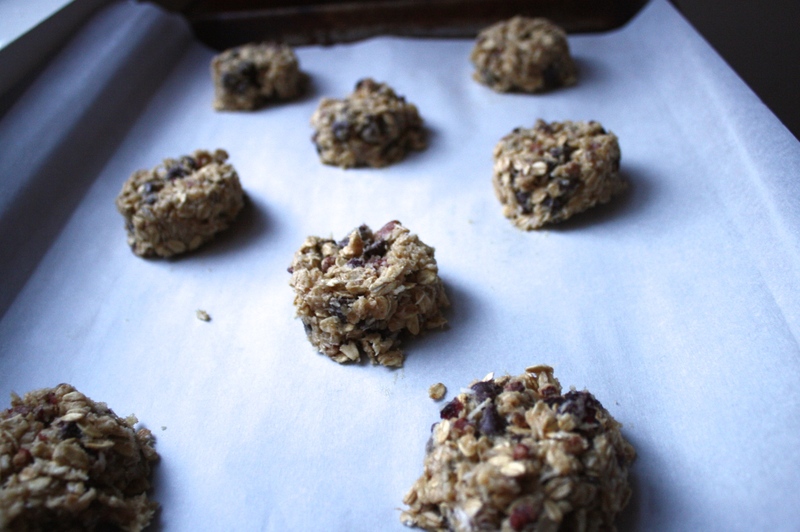 Cool cookies on sheets 1 minute, then transfer with a spatula to racks to cool completely. Make more cookies in same manner. Cook’s notes: I have made these without the browned butter step, also, and they are still great. Just use room temperature butter, and beat it on high speed with the sugars until light in color and texture. I have also used pecans instead of almonds, and left out the craisins altogether, although I like the tartness of the craisins paired with the sweetness of the chocolate. My Aunt Cindy just reminded me that these also can be made subbing half the butter for coconut oil! It gives a more intense coconut flavor. If you still want the browned butter, just brown one stick of butter, and then swirl in the coconut oil once the butter is browned. *note on coconut: I have used both unsweetened shredded and sweetened (the regular Baker’s shredded coconut found in the baking aisle). The unsweetened is preferable, but in a pinch you can use sweetened. It makes the cookies MUCH more sweet, and I feel like the coconut flavor is lost a little because of that. So maybe decrease the sugar a bit and use only a tablespoon or two of the granulated. I love these warm, and highly recommend microwaving them for 20 seconds or so before eating them (or just eating them right off the pan! ).